The Leon Supercopa is a revolutionised Leon FR+, developed by the motorsport division, based on the potent and highly equipped FR+ models. Each Supercopa is crafted in state-of-the-art facilities in Martorell, Spain, where they are fitted with a signature, aerodynamic body kit comprising new bumpers, side skirts and tailgate spoiler. Additionally, the Supercopa features stunning 18” BBS® alloy wheels and a bespoke twin exhaust. When you consider the choice of powerful engines, the Leon Supercopa stacks up to be a true driver’s dream. 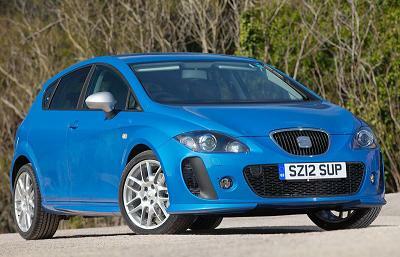 All Seat Leon FR Super Copa DSG car offers are based on Car Leasing, With 3 or 6 months down followed by 47 Payments. Business contract hire deals or Personal leasing offers. For more information or prices on the Leon FR Super Copa DSG cheap leasing special offers please call us on the below number.